Redecorating a room can be tricky when you need to match existing fabrics and furnishings, but it can be done. Green curtains are a dramatic statement all on their own and could be paired with simple white walls. Several options will add warmth and character to the space, however, and make those curtains an integral part of the decor. Green curtains may seem tricky to match, but you have several options. Pair neighboring colors on the color wheel to create the most pleasant environment. On one side of green is yellow, a cheerful color that can create a spring-like atmosphere in your room. Choose a shade of yellow that complements the green in your curtains. Pair bright green and daffodil yellow, or use a golden shade to go with darker, olive greens. Add patterned fabrics and accessories to the room that incorporate both colors, preferably with lighter and darker shades that add depth and visual interest to the room's palette. Check the other side of green on the color wheel, and you'll find the lighter shades of blue. Think of the blue and green tones of the ocean and how beautifully they blend. Pair dark olive drapery with pale blue walls, or try a bright sky blue to provide a cheerful backdrop for vivid green kitchen curtains. Match the tones of the colors to avoid clashing; a grayish green needs a slate blue shade to complement it. Look out your window and see all of the different shades of green that work together and brighten up the garden. Bring those pine, grass and leaf greens into your home. Pair them with other neutrals from outside, adding both dark and light wood tones to the room. Add a few accents from the partner colors on the color wheel, like cornflower blue and yellow mum. This soothing color palette works well with Asian style furnishings and bamboo floors. Use the opposite side of the color wheel to create a more dramatic companion to green. Try burgundy, plum or fuchsia on the walls, or keep the paint neutral and blend green and purple tones in the fabrics and accessories. Create a whimsically colorful kitchen or den by adding a touch of deep blue and bright orange accents to the purple and green. 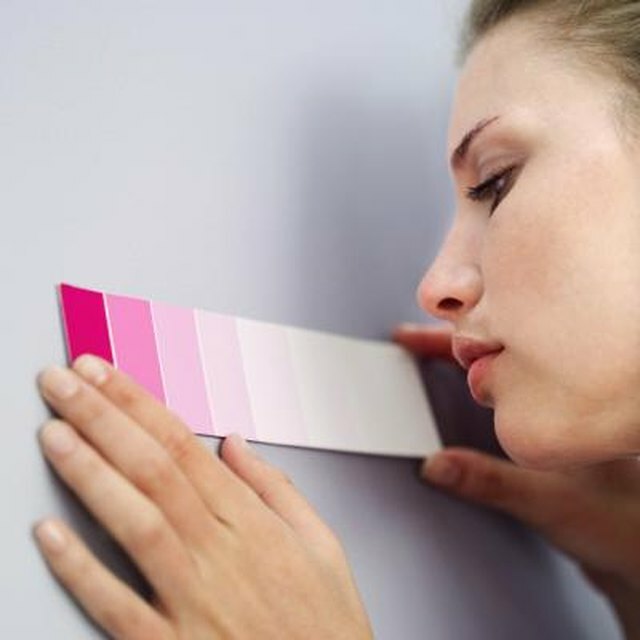 Keep at least one aspect of the room like walls, furniture or flooring neutral to help balance the powerful colors.